Looking for a free quote of lawn mowing service in Dallas, TX? Come to GoMow, We provide the best lawn mowing & lawn care services in Dallas. Call us now! 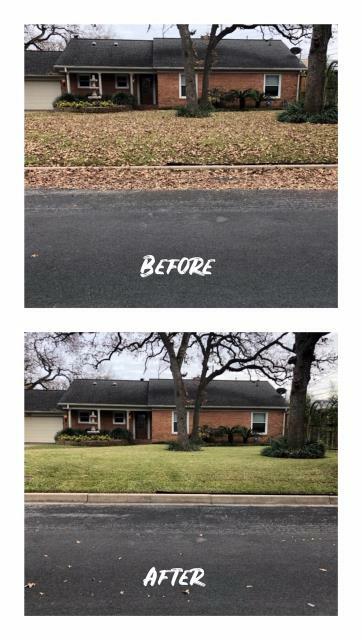 Residential Lawn Mowing in Dallas, "You Click,We Cut"
Yes, we are mowing on your street! 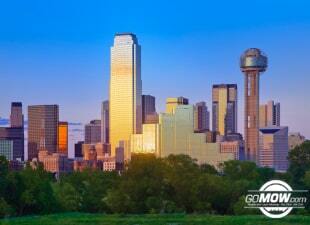 GoMow is honored to offer lawn mowing services to Dallas residents. Click here www.gomow.com to select from one of the many different Lawn Maintenance Service Plans available to the residents of Dallas, and have GoMow maintain your lawn today! Dallas is fast developing city and notably consistent for its progress in technology and the oil industries. It has several museums, gardens and architectural masterpieces which attract tourists from all over. Lawns are an integral part of landscape in Dallas and GoMow is here to make sure that yours is maintained properly and remains green and healthy. We provide the best lawn care and maintenance in Dallas. You can request our lawn treatment services in Dallas anytime online. As the saying goes, “Everything is bigger in Texas”, and in keeping with that, we like to offer the best of the best when it comes to lawn care service and in a big way! Contact www.gomow.com to help you get set up on an ongoing Lawn Maintenance and Lawn Treatment service plan in Dallas today! They came. They saw. They went above & beyond. Awesome...We are happy to hear! Excellent service. Did all as instructed. Just had them do general trimming, but they did a great job! They picked up every last shred of clippings, and were diligent to keep in touch during scheduling. Quality on time service at a good price! GoMow has taken out the hassle of getting consistent, quality lawn service. My needs for an edge, mow and blow have allowed me to enjoy my weekends and free up space in the garage. No more bulky lawn equipment getting in my way. Thank You! We appreciate the great feedback! Candice has been my point of contact and has delivered superior customer service on all levels. She is a true asset and Gomow is lucky to have her. Service has been great, the only issue we have ever had was a broken sprinkler head and they came right out and fixed it as soon as we had reported it! Thank you! We love to hear from our happy customers! Came on short noticd and did a very nice job. The scheduling was very convenient. Gomow called me when there was a conflict and they had to reschedule. Appreciate the communication. I came back from work and everything was clean and tidy. Gomow did a good job with the leaf clean up and the 1st mow for the season turned out great. They even moved the toyhouse to get to the grass underneath. The leaf cleanup pricing $/hr seems a little on the high end. But I haven't seen the final invoice yet so not sure yet how much time was spent. The three man team did an outstanding job. The two man team worked hard and did a good job. I love Gomow. This is our second year to use them, they are affordable and very accommodating to fit me in their schedule when I need additional services or an extra mow that is not part of my regular schedule. They are prompt to answer my questions and retuning phone calls, and always follow-up to see how they did with the "extras"
Grass mowing and yard work near The Home Depot. Leaf removal and trimming in the lawn. Lawn care maintenance and mowing. Affordable lawn care. Affordable lawn mowing and residential lawn mowing. Perform leaf removal and complete leave clean up for customer. Residential lawn mowing and leaf yard clean up near White Rock Lake. Mowing and leaf removal , yard cleaning and yard work near the Preston Hollow areas. Yard care and mowing next to Alice Sanger Elementary School. Residential lawn mowing service and yard work near LA Fitness Gym. Provided full leaf removal in the front yard. Affordable and reliable lawn mowing service near White Rock Lake. Pass by White Rock Marketplace to get to this lawn cutting and affordable mowing service customer. 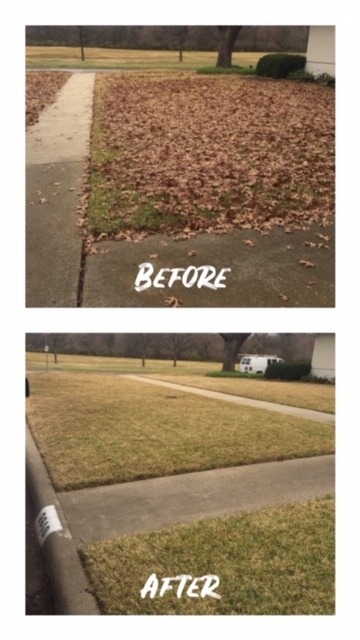 Provide estimate for leaf removal service. Residential lawn care and lawn mowing near Kohl's. Provide estimate to trim up the bushes. Drive past Subway to arrive at the yard work and lawn mowing address. Lakewood Methodist Church is near this mowing and lawn care location. Estimate to remove leaves from the back yard flower beds. Residential lawn mowing and maintenance near 7-11. Give customer estimate for leaf clean up and removal. Pass Salt Grass Steakhouse to arrive at this landscape and lawn care customers house. Pass the Boiling Crab to arrive at this lawn care and yard work customer. Mowing and leaf removal service near Domino's Pizza. Give the customer and estimate for hedge trimming. White Rock Lake is near this lawn maintenance and mowing customer. Pass the White Rock Greenbelt to arrive a this edging and lawn work customers house. Residential mowing and yard work. Please provide estimate for this yard treatment customer. Yard Service and mowing next to Casa Linda Park. Mowing Service and Lawn Care near JJ Pierce High School. Provide estimate for landscape service and lawn treatment. Town market shopping center is near this grass mowing and yard work customer. Provided estimate of work to be done in garden. Ready to have your lawn maintenanced by GoMow? Enter your address and zip code for a quick quote!